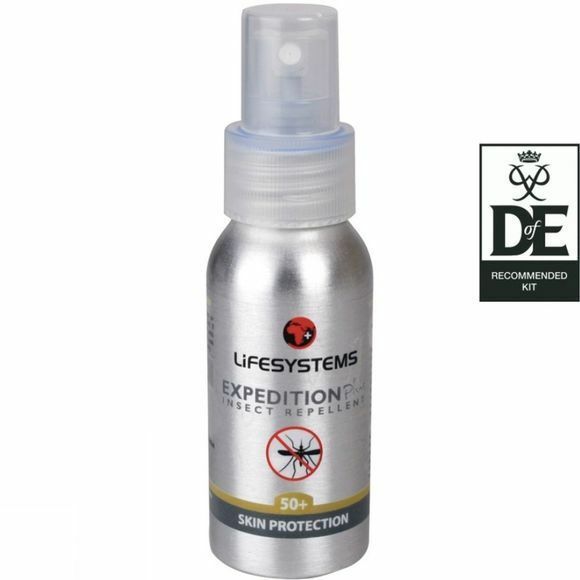 The Lifesystems Expedition 50+ Plus is a dual action formula that combines natural pyrethroids with DEET to provide a high level of protection against biting insects in all environments. Natural pyrethroids act as a contact repellent so any insect actually landing on the skin will be deterred from biting. Each application of Expedition 50+ Plus will last for up to 10 hours.